After long wait, the KTM Duke 125 has been launched in India. In India, it has been sold at the cost of 1.18 lakhs, ex-showroom (Delhi). With this, the KTM Duke 125 has become the cheapest and entry-level bike in India in India. It was decided a few months ago that the KTM Duke 125 will be launched in India soon. Because its bookings on dealerships have started almost 1 month earlier. It was being booked for Rs 1,000. Please tell that the KTM Duke 125 is also selling in the global market and it is inspire from the 390 Duke. But the KTM Duke 125 launched in India is influenced by the Duke 200 model. In order to differentiate between the International and Indian Speak Duke 125, it has been launched in India with new design graphics. 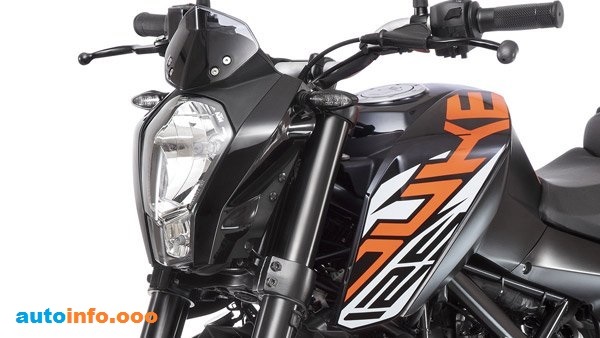 Bajaj Auto Ltd official Amit Nandi said on the launch of the launch, "KTM is already known for its strong performance, enhancement of design and rugged ride. Now the KTM Duke 125 comes in line with the Duke's line-up It will also get the strength. " KTM 125 Duke has a 124.7cc Liquid-cooled, single-cylinder, fuel-injected engine that generates the power of 14.7 bhp and torque of 12 newtons. This engine was equipped with a 6-speed gearbox. With this, the KTM 125 Duke has become the nation's most powerful bike in this segment. As the Segment First Factors, it offers a trail frame and aluminum swing arm. 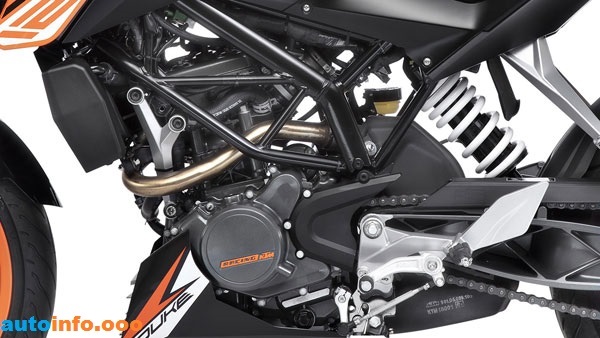 In the Globe KTM 125 Duke, WP Upside Down Forks of 43 millimeters forward and WP Monoschope suspension on the rear facing. In front of the bike for breaking, 300 millimeters of disc in the wheel and a 230 mm disc brake in the rear wheels. For strengthening braking, it has been given as single-channel ABS standard. With this the KTM 125 Duke has become the first bike in the ABS recipients in the 125 cc segment. Recently, the KTM added ABS to its 200 cc Duke. Talk about KTM 125 Duke rivals in India, it will be primarily Yamaha R15V 3.0, TVS Apache RTR 160 4V and Bajaj Pulsar NS 160.